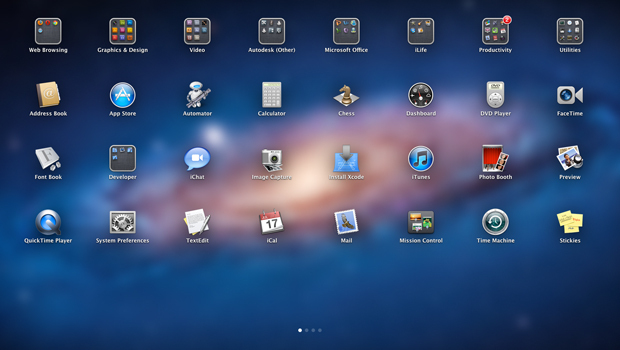 Launchpad seems like a good idea at first. It’s great on iOS devices. But that is because the user uses their finger. It takes next to no time to tap an icon or a folder and launch an App when you can touch it. But I’m not using a touchscreen iPhone or iPad. I’m using a computer. Let’s just walk through the flow of launching an App using Launchpad on Lion for a second and you’ll see where I’m coming from. Launch Launchpad – Whether you use a hot corner, click the App icon on the dashboard, or hit a function key, you’ve already wasted time getting to your app. Find your App and click it – No matter how you launched Launchpad, you have to move your mouse around and find your application. If your app is in an app folder, then you have to click twice to get to it. This doesn’t include if the app is located on a different page. 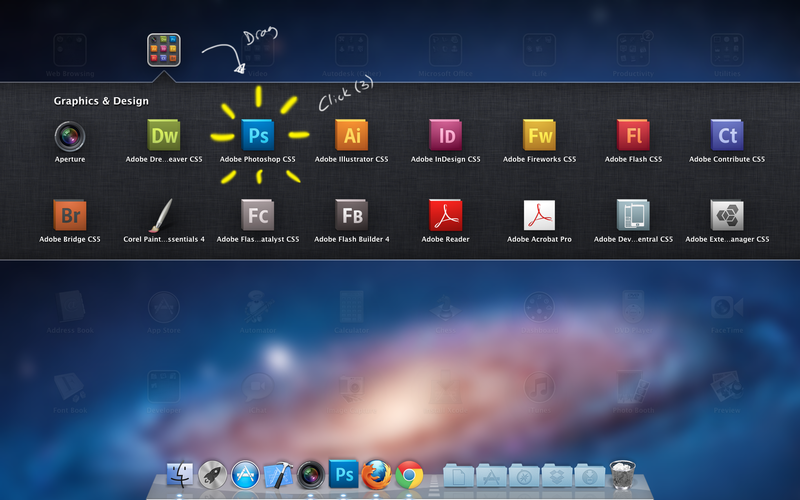 So, in order to launch an app like Photoshop, I have to move my mouse around an incredible amount. I thought the whole reason for having shortcuts like these was to get stuff done and not scrape your wrist on the desk. 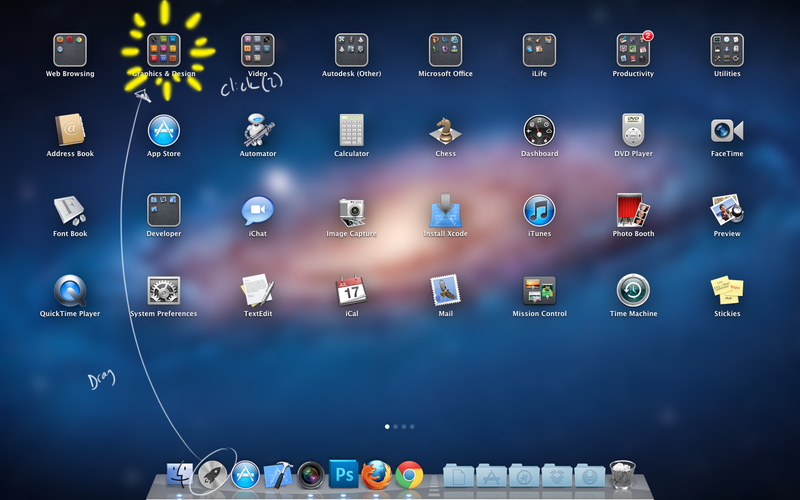 So basically, after trying out Launchpad and wasting time, I’ve gone back to using Spotlight to get stuff done.